We will gather to ponder the world, one topic at a time. We will examine debates without debating, exploring our convictions –or lack thereof– and the reasons we have to have them –or to not have them. We will do so in relaxed, friendly setting, keeping in mind what Bertrand Russell is said to have said about beliefs: "I would never die for my beliefs because I might be wrong." Or, if you prefer, what The Dude said about opinions: "Yeah? 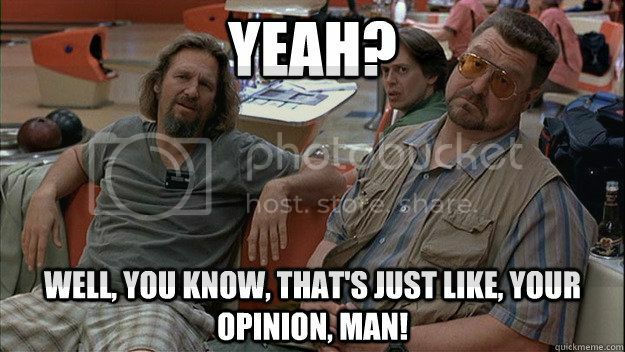 Well, you know, that's just, like, your opinion, man." Is there anything new under the secular sun? : Bertrand Russell's 'Why I Am Not a Christian,' 89 years later." We will consider this influential talk –delivered on March 6, 1927, under the auspices of the South London Branch of the National Secular Society– in the light of 21st Century skepticism. Have we learned anything new, or do we continue to frame our skepticism the way Russell did 89 years ago? The essay is written in a clear and conversational style, and it's a pleasure to read. Or you can listen to it on Youtube. You are not required to read –or listen to– it to participate. I'll print a few quotes we can share and discuss during the Peña.